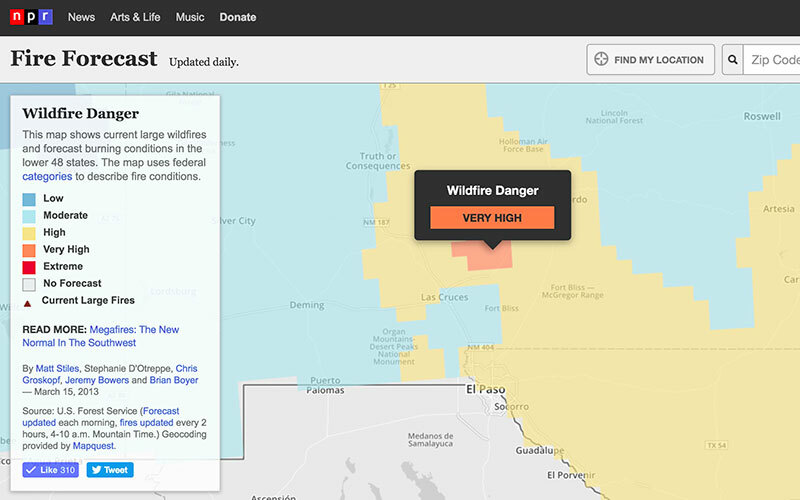 One of my first projects on NPR’s Visuals team years ago was helping build Fire Forecast, a stand-alone news application allowing users to find their location and learn about wildfire danger in their area. The project required quite a bit of reporting to find the right data set — and to make sure we were interpreting it correctly. Then we sketched the app thinking about mobile users first, and then we built the map and wrote a script to ensure that it updated early each morning.